Having trouble thinking of a perfect baby gift for your friends/family? Here’s just a few ideas to inspire you! 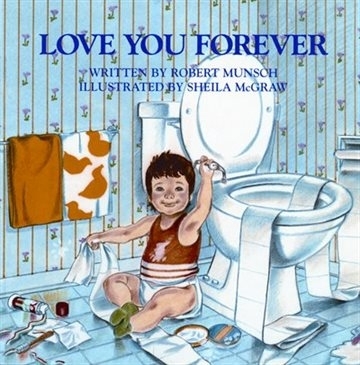 Give your favorite childhood book, or your own child’s favorite. 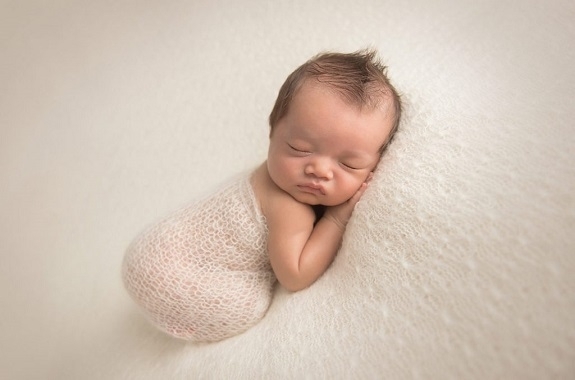 Relating to our blog two posts ago, newborn photo sessions can be pricey for parents. However, capturing these early moments will be cherished forever. This gift is sure to please any new parents as they will always be able to look back at these first magical few days. Check with your favorite photographer. Many offer easy ways to gift photo sessions either by pre-pay or gift certificates which can be purchased online and emailed to the new parents. Jewelry is always used to symbolize significant life moments so we picked a few favorite ideas to symbolize a newborn’s birth. A necklace with the charm being the birth stone of the month the baby is born. A single pearl Add-A-Pearl necklace to mark the first milestone of her life, her birth. 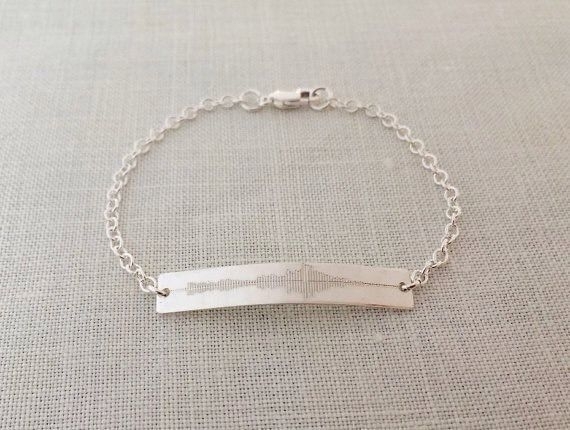 A bracelet that has the baby’s first recorded heartbeat imprinted into the charm. Another idea for this “homemade” blanket gift is to make a t-shirt quilt. This gift would be made after the baby’s first few months and with advance notice. 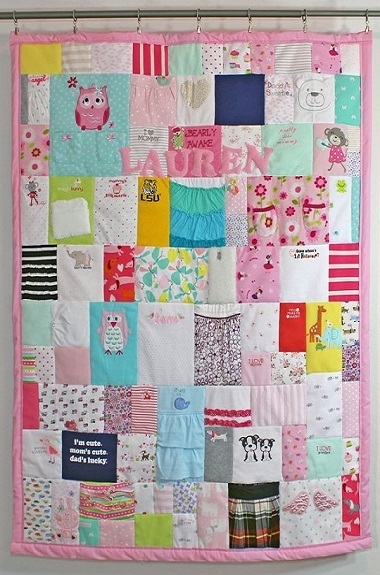 Ask the baby’s mother for the newborn shirts or onesies that the child has out-grown and sew them together for a beautiful customized quilt! And when he/she grows up they can have this wonderful keepsake created from clothes they used to wear! 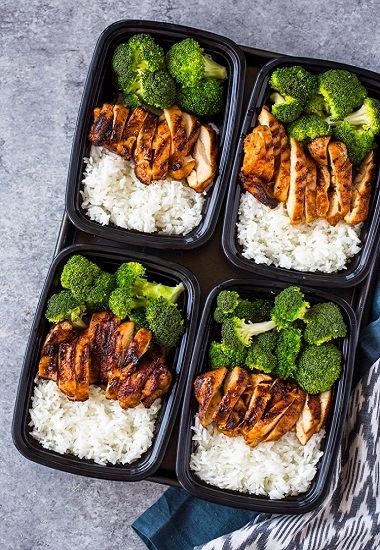 A great group gift idea is to plan out the new family’s meals for a month. Each person in the group can take turns making dinner for the family for the first month that the baby is born. This takes some of the stress off the new parents when trying to figure out how to balance time for meals with raising their newborn. 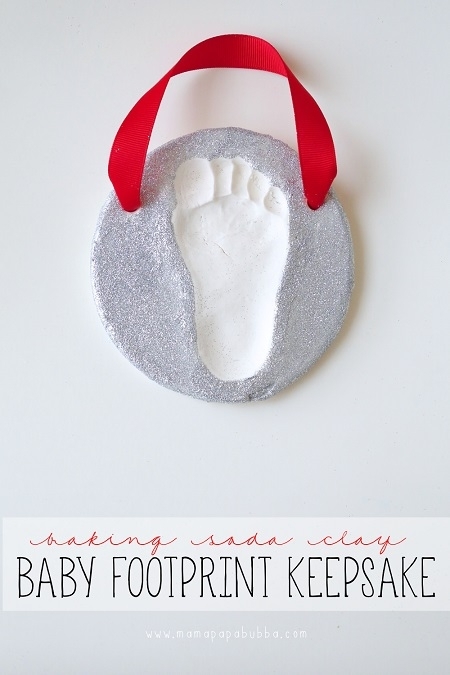 Use the baby’s fingerprint, handprint or footprint to create a beautiful piece of artwork to hang in the baby’s nursery. For this blog we interviewed a mother and heard her story of the best gift that she received after giving birth. Hopefully we were able to provide some ideas for getting the best baby gift for your loved ones!